Since 1991, the Giao Diem Humanitarian Foundation has been providing humanitarian services to rural areas of Vietnam. It is focused on providing financial and nutritional support for malnourished children, supporting orphanages for the poor and nursing homes for the elderly, assisting with free medical mobile clinics and assisting with natural disasters. The Abbott Fund provides support to Giao Diem through its partner AmeriCares. Abbott and Abbott Fund are partnering with AmeriCares and Giao Diem to address pediatric malnutrition. During the 2010-2011 school year, the partnership supported classrooms across four rural provinces of Vietnam – Ben Tre, Quang Tri, Hue, and An Giang. The majority of participating children live in the Hue and Quang Tri provinces in Vietnam’s Central Highland region, where malnutrition rates are among the highest in the country. Mountainous terrain and limited arable land make these provinces extremely vulnerable to the impact of natural disasters, which has a detrimental effect on livelihoods, health status, food security and infrastructure. On a daily basis, children are provided with soy milk freshly made and fortified with peanuts; soybean oil; a hot breakfast, multi-vitamins and minerals, Abbott’s nutritional products, during the flooding and rainy season (Dec-Feb). Students enrolled in the program also undergo three health screenings by health professionals. The program provides on-site training seminars for both parents and teachers, teaching them about proper nutrition needs and care as well as how to use local materials and resources, like soybeans to provide for children. The program supports the refurbishment and improvement of school kitchens. The project activities are customized and tailored to meet the nutritional needs of the children at each site. For families classified as poor, the project fully subsidizes the cost of soymilk production. Leveraging Abbott resources, product donations of Abbott’s nutritional products are made each year during flood/hurricane season (December – February) to address the rise in malnutrition during this period. In addition, soybean oil has been introduced into the daily diets of children to increase daily consumption of calories and protein. 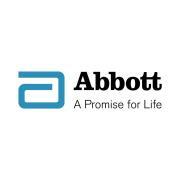 For more than 20 years, Abbott has made a significant contribution to the fight against HIV/AIDS through the development of innovative tests and medicines. Building on this history, Abbott and the Abbott Fund have invested more than $100 million to advance HIV testing, treatment and support services in developing countries through Abbott Global AIDS Care programs. Working together with local and international partners, Abbott is improving the lives of people affected by HIV/AIDS through programs targeting critical areas of need in developing countries. This is an extension of Abbott's commitment to global citizenship, which informs how our company advances our business objectives, engages our stakeholders, implements our policies, applies our social investment and philanthropy, and exercises our influence to make a productive contribution to society. Abbott Global AIDS Care programs focus on four key areas: strengthening health care systems, helping children affected by HIV/AIDS, preventing mother-to-child transmission of HIV, and expanding access to testing and treatment. Together with our implementing partner organizations, Abbott and Abbott Fund are pioneering innovative model programs, and sharing progress and lessons learned to encourage the adaptation of successful programs. A mother infected with HIV has a 30 percent risk of passing the infection on to her baby. Testing is the first step in preventing HIV transmission. To help pregnant women find out their HIV status, Abbott donates rapid HIV tests free of charge to qualifying programs in 69 developing countries, including all of Africa. Rapid testing allows women to learn their status in 15 minutes and increases the opportunity to receive counseling after the test. Local programs can then offer HIV-positive mothers free and convenient therapy to prevent their child from being infected with HIV. Based on feedback from implementing partners, Abbott also has broadened the program to offer free rapid HIV testing to partners and children of women who test HIV positive. To date, Abbott has donated more than eight million rapid HIV tests to prevention programs throughout the developing world. Abbott Fund is working to both advance the treatment of children with HIV, and improve the lives of orphans and vulnerable children affected by HIV/AIDS in developing countries. The Abbott Fund's approach is to support innovative model programs, drive results and share updates on progress and lessons learned. We hope these results will encourage replication and adaptation of successful models by the international community. Since 2001, more than 1 million children and families impacted by AIDS have received services through Abbott Fund programs. Like many countries in Africa, Tanzania faces a significant HIV/AIDS epidemic. In 2002, the Abbott Fund and the Government of Tanzania formed a unique public-private partnership, implementing one of the most comprehensive initiatives in Africa to strengthen a country’s health care system to meet the needs of people with HIV and other lifelong diseases. At the country's leading reference hospital, Muhimbili National Hospital, the Abbott Fund built a new outpatient center, clinical laboratory, and a modern, Emergency Medicine Department Center of Excellence. The partnership has expanded testing and treatment at more than 90 health centers throughout Tanzania, bringing HIV services into some remote regions for the first time. In 2007, nearly one in three people on HIV treatment in Tanzania was receiving care at facilities that benefited from Abbott Fund support. To help provide the ongoing monitoring needed for these patients and others with chronic conditions, the Abbott Fund is currently modernizing or constructing laboratories at all 23 regional-level hospitals across the country. The $10 million project is scheduled for completion by 2010. As part of the company's efforts to fight HIV/AIDS in the developing world, Abbott has made rapid HIV tests and its HIV medicines broadly available at significantly reduced prices or at no profit in the developing world. AmeriCares is a non-profit emergency response and global health organization. In times of epic disaster or daily struggle, we deliver medical and humanitarian aid to people in need worldwide. Today, we are at work in more than 90 countries, whenever and wherever people are in crisis, we are there—saving lives, restoring health and hope. We respond to disasters, the ones you see and the ones you don't. When an injured child is pulled from the rubble of a massive earthquake or an expectant mom struggles without health insurance, we are there with aid that restores health and saves lives. When poverty, disease, or deadly conflict cause health crises, we deliver medicines, medical supplies and humanitarian aid to a trusted network of clinics, hospitals and health care providers around the world. We also create and support programs that increase capacity, improve quality and provide more access to health care in the world’s poorest countries and here in the U.S. Since 1982, AmeriCares work has been characterized by compassion, expertise, quick response, and aid that works for people who need it. Whenever, wherever people are in crisis, we work with you, our donors and partners, to deliver the help they need. 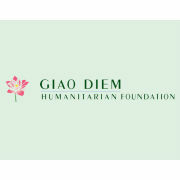 Giao Diem Humanitarian Foundation (GDHF) is a gathering of volunteers dedicated to humanitarian activities in Vietnam since 1991. Overseen by its Board of Directors, GDHF’s volunteer staff and their friends have organized annual fund raising efforts in the US and annual humanitarian trips to Vietnam. Humanitarian services are provided in the areas of nutrition, medicine, and education through steady provision of educational materials and medical supplies, project funding, on-site training, and direct services. Working closely together as a team, GDHF volunteer staff is responsible for individual tasks, and is collectively accountable for the projects’ results. In order to improve the efficiency of its projects and to truly connect the people from both shores of the Pacific Ocean for the common charitable causes, GDHF has gradually developed lasting and productive working relationships with several local volunteers and various non-profit organizations in Vietnam. This connection also reflects GDHF’s fundamental goal to empower the local organizations and communities for their eventual self-sustainability in the improvement of the local children’s health and education. Besides individual volunteers from the U.S. as well as Vietnam, GDHF’s principal contacts include Hoi Tu Thien Tinh Quang Tri (The Charity Association of Quang Tri Province) and Trung Tam Giao Duc Nhan Dao Hue (Center of Education and Humanity of Hue). On a regular basis, GDHF also supports Doan Kham Binh Mien Phi, Binh Vien Da Khoa Da Nang (Free Mobile Clinic, Da Nang General Hospital), Hoi Tu Thien Phat Giao Tinh Quang Tri (The Buddhist Charity Association of Quang Tri Province), Binh Vien Khu Vuc Trieu Hai Tinh Quang Tri (Trieu Hai Regional Hospital, Quang Tri Province), Ban Tu Thien Phat Giao Thanh Pho Hue (The Buddhist Charity Association of Hue City) in addition to several Orphanages, Free Clinics, and Nursing Homes in Vietnam.